Securing your web sites and services using HTTPS is something you should be doing no matter what. Last year the government mandated all their sites move to HTTPS, and even Google is rewarding secure sites in its ranking algorithm. There is no reason for not using HTTPS any more. Since HTTPS is the baseline for web apps, certificate pinning should be the baseline for mobile apps interacting with the web. OWASP published a good description of certificate pinning. To summarize, pinning a certificate means that your app is verifying that the site the app is communicating with is the actual site by comparing the certificate presented by the site to one bundled in the app. This prevents a man-in-the-middle attack on your app. Why is this important to your app? It matters greatly if you also own the web service API or use a proprietary or paid API. Attackers can use a man-in-the-middle attack to reverse-engineer the web service interface, or to inject malicious data into the payload sent by your app to the web service. In fact, I have used this technique in the past to deconstruct a vendor’s API to better understand how to call it. Lucky for me (but bad for consumers) that they didn’t pin certificates in their Android app in the Play Store. How Do I Pin a Certificate? In all likelihood, there will be more than one certificate found by that command, known as the certificate chain. You need the whole chain, and the above command will place those into the file. This file will be placed into the Java keystore. Move the resulting .bks file into the res/raw folder of your Android Studio project. To keep the example simpler, we’ll look at how to use it directly with the HttpsURLConnection object. We’ll open the keystore, set its contents to an SSLContext, and then add a TrustManagerFactory to the SSLContext. Finally, we’ll associate the SSLContext object to the HttpsURLConnection and then the code can proceed as normal from there. Hey, hold on there. The certificate (and keystore password) is in my app now. Can’t someone decompile the app and get the certificate? Yep, that’s true, someone could get the certificate (unless you used Retrofit), which they can technically fetch even without your app. The good news is that they can’t use the certificate to fake being the web server without the private key, which we never used here or included in the keystore. The certificate is publicly available, you aren’t decreasing the security of your app, you are increasing it! Also, I’d like to point out that I didn’t use the term SSL. At this point in time, well-hardened web servers shouldn’t be using SSL, they are actually using TLS. SSL has become synonymous with HTTPS and that’s just wrong, and even SSL vs TLS is not a completely equitable comparison. HTTPS means the connection is secure, SSL or TLS is the method used to secure the connection. We’ve been adding some Cordova-based builds into our system, and the first iOS build kept stalling during the build. After some troubleshooting and Googling I came across this fantastic article: Automating Cordova Workflow: xcodebuild Hangs During iOS Build. What Simon describes is exactly the effect we were observing, and his solution solved the problem. What is happening is Cordova is not creating the Xcode project correctly, it’s missing the schemes. Opening Xcode on the server fixes this, as does the scripted solution presented by Simon. 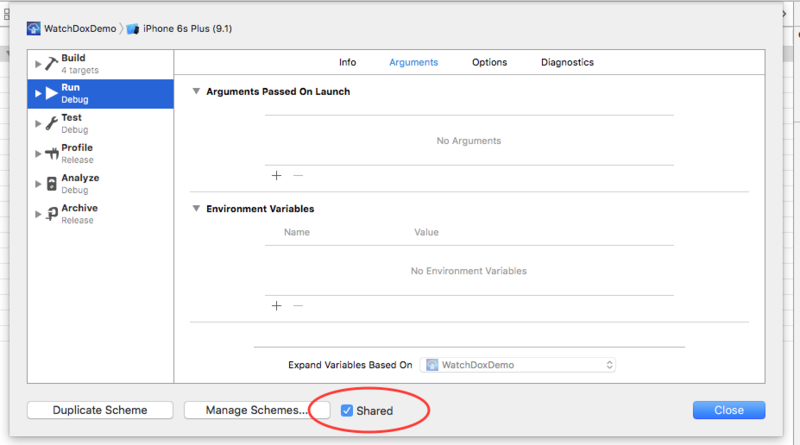 Click the Shared checkbox then check in the project. The schemes will now be part of the build and it won’t hang mysteriously any more. My team built the mobile apps that interacted with iBeacons to simulate the interactions described in the article, both Android and iOS published in their respective stores. We also built middleware, REST-based web services and the actual disease model that ran the simulation. These communicated to a Vertica back-end where another team performed analytics on the data. The demo ran at four conferences, including HIMSS in both 2015 and 2016. I’ve decided to re-launch my blog under a different header as I am primarily writing about mobility now. My old blog content is mostly .Net-related, and I’m not really working in that space any more. It makes sense to me to curate the content differently. The reason I blog is that I find so many great answers to questions and tutorials on how to do things, and I feel compelled to do my part (as I have since I started blogging in 2003). Welcome, and I hope you find something useful.